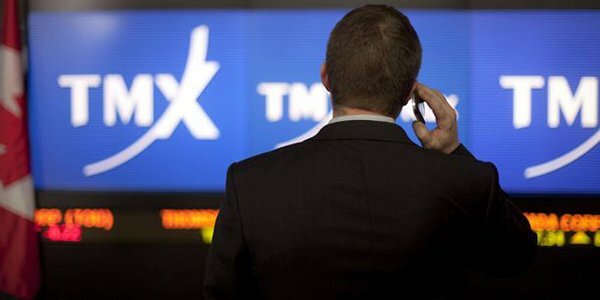 TSX Ends October at Record as Wall Street Notches Seventh Straight Monthly Advance - Inukshuk Capital Management Inc.
November 2, 2017 /in Market Update /by Inukshuk Capital Management Inc.
North American and European markets posted healthy gains in October, as rebounding energy prices and a synchronized global recovery fueled risk appetite at the start of Q3. October was the month that Canadian stocks made a roaring comeback, fueled by stronger bank and energy shares. The benchmark S&P/TSX Composite Index notched multiple record highs during the month to close at 16,025.59. That represents a monthly gain of 2.5%. A broad recovery in crude oil has translated into higher share prices for Canadian energy producers. Oil prices are trading at more than six-month highs, with West Texas intermediate (WTI) futures approaching $55 a barrel. Other sectors to put up strong results include base metals and healthcare. Construction also rode a tailwind after Aecon announced it was being sold to China’s state-run CCCI for a hefty premium. October was another month of record-setting gains for Wall Street, with the benchmarks S&P 500 and Dow Jones Industrial Average notching their seventh consecutive monthly gain. The S&P 500 rose 2.2% in October, while the Dow added 4.3%, and the technology-heavy Nasdaq Composite Index finished with a gain of 3.6%. Robust corporate earnings from major technology heavyweights led the market higher last month. Expectations of deep tax cuts under the Trump administration also factored into the rally after the House of Representatives voted to pass a budget resolution. The Bank of Canada (BOC) held interest rates in check last month following back-to-back rate hikes. In doing so, the BOC struck a decidedly dovish tone, with Governor Stephen Poloz warning about downside risks to the economy. The central bank was vindicated in leaving interest rates unchanged after the economy contracted unexpectedly in August. Gross domestic product (GDP) – the value of all goods and services produced in the economy – shrank 0.1%, Statistics Canada reported Oct. 31. Goods-producing industries shouldered the losses, declining 0.7%. Yesterday was the Federal Reserve’s second-last policy announcement of the year. The meeting resulted in no change in rates, as expected. The interest rate market is pricing in a 98% probability of a 25 basis point increase at the final meeting in December. Outside of an unexpected shock, markets should be little impacted by Fed policy decisions for the remainder of the year. If you would like to discuss your personal situation with one of our Certified Financial Planners, contact us. We’re always happy to help! Click here to read our White Paper, titled, “What the Investment Industry Doesn’t Want You to Know”. David Hodges (October 31, 2017). “TSX sets another record high as loonie falls.” CTV News. Fred Imbert (October 31, 2017). “Dow and S&P 500 notch 7th straight monthly gain as stocks close out strong October.” CNBC.